Cyclone Mora lashed coastal areas of Bangladesh today, forcing at least 350,000 people to evacuate to safer place. 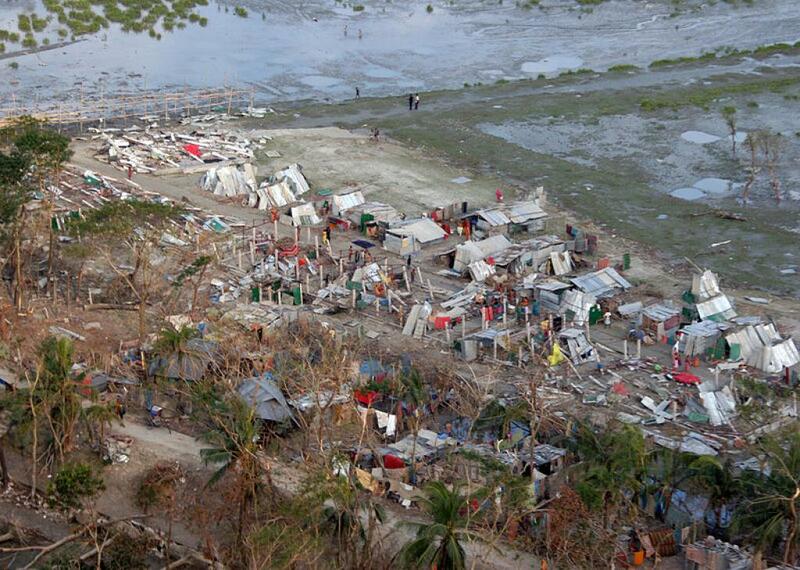 Cyclone caused havoc in refugee camps set up for Rohingya muslims who have fled violence in neighbouring Myanmar. In the coastal district of Cox's Bazar, about 200,000 people were evacuated. In Chittagong district, about 150,000 people were evacuated. The Cox Bazar district is few miles from the Myanmar border. According to media reports, damage in different camps was severe with almost all the 10,000 thatched huts in the Balukhali and Kutupalong camps destroyed. However, according to a weather official, the severity of the cyclone was less than what was apprehended. Officials in Chittagong reported wind speed up to 135 km per hour (85 mph). They also revealed that low-lying coastal areas were flooded by a storm surge with waves two metres (seven feet) high. 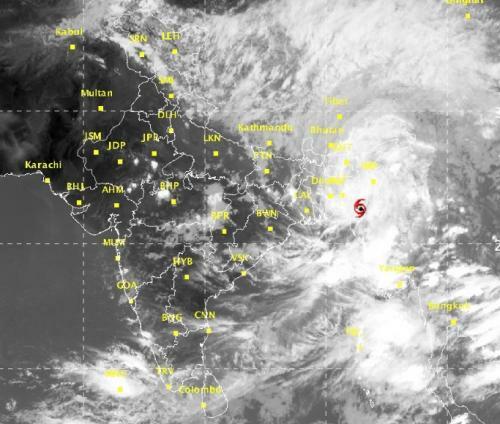 The cyclone was expected to weaken in Bangladesh before the afternoon of May 31, as it is moving inland towards India. Mizoram government has already issued a warning today that cyclone Mora, accompanied by a thunderstorm and very heavy rainfall, is likely to lash the state on May 30 and 31. The National Disaster Management Authority (NDMA) has warned of heavy rain in the northeastern states of Tripura, Mizoram, Manipur, Nagaland and Arunachal Pradesh. The Indian Meteorological Department revealed that the cyclonic storm lay centred over Bangladesh about 120 km southwest of Aizawal at 11:30 AM today. @misskaul Squally winds speed gusting to 65 kmph will prevail over South Assam,Meghalaya & Manipur & along & off W.Bengal coast during next 12hrs. The IMD has predicted extensive damage to thatched huts, power and communication lines and some damage to paddy crops, banana, papaya trees and orchards during next 12 hours in Mizoram and Tripura.